Get factory lighting solutions tailored to your needs. Choose us! Choose us! We’ll cut you a great deal. We’ll do this and that, cheaper and quicker than anyone else. And that’s a promise! You’ve probably heard it all before. Factory lighting providers promising you the world, but rarely delivering it. Wouldn’t it be nice to find factory lighting experts who delivered the products you actually want in your business, not the products they want out of their warehouse?Well, guess what? There’s no need to hire a private detective to track these experts down. You’ve probably got a good idea of what we’re going to say next. But here goes anyway. Here at LOONGA, we go about things differently. We’ll get to know the kind of factory lighting you need, then go away and make it to the highest standards and deliver it on time. If we don’t deliver when we say we will, you will get 50% off the cost of your order. Here’s a couple of things worth thinking about before you decide who to choose for your factory lighting solutions. First up, a lot of people we meet don’t know the precise type of lighting their factory needs. Nothing wrong with that. There’s plenty of other things to worry about, like running a business. So leave your lighting to LOONGA. We’ll make sure it does exactly what you need it to do. Another thing. If you need lighting with a flexible range of features to match your factory environment – that’s not something you can get off a shelf. It needs to be made to order. And that’s our speciality. LOONGA will work to your specs to create the lighting combination that works for you. 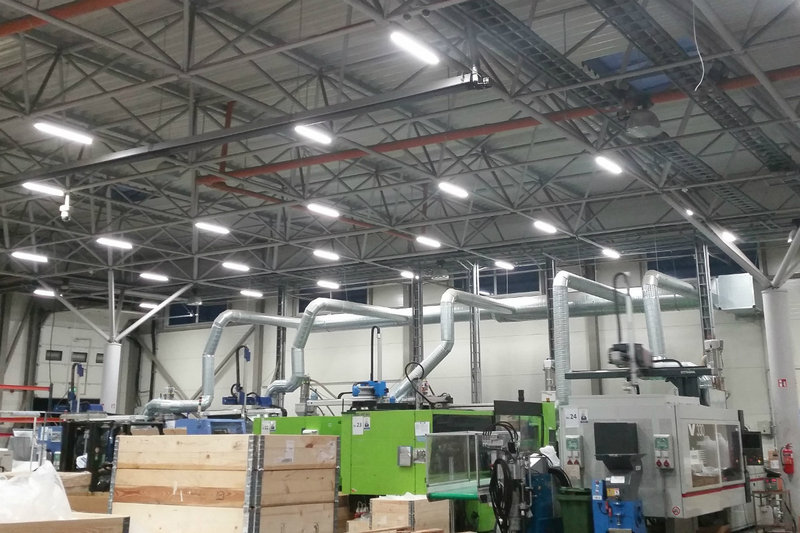 Here’s how you go about getting some LOONGA lighting in your factory. 2. We’ll arrange a Remote Survey (which can be done over the phone) or a Factory Visit to get all the information we need. 3. We’ll then go away and create a customised factory lighting design, and send you a report and quote. 4. Give us the thumb’s up and we’ll make and supply your factory lighting fittings (pre-wired with quick connections, if you like) and even arrange to install them. Just let us know how you want to play things. 5. On a tight budget? We totally understand. If you’re interested, we can put you in touch with a trusted loan partner to help fund the deal. Otherwise, just bookmark our website and call us first when you’re ready to go ahead. All LOONGA products are guaranteed for 5 years. We also stand by our delivery guarantee. If we don’t deliver within the deadline we’ve promised (up to 3 weeks) you’ll get 50% off your order.